The Moses experimental project has come to an end and the time has now come for the operative phase. Over the past few weeks, the experimental activities of Consorzio di Bonifica della Romagna within the Moses project have finished after three years. the project involved nations from all over the world as the demonstration areas were in Italy, Spain, Romania and Morocco. The universities of Deft (Netherlands), Alma Mater (Bologna) and Universite Chouaib Doukkali in Morocco were also involved. "The objectives of the Moses project are water saving in agriculture, improved efficiency, a better service to agricultural businesses, reduced irrigation economic and energy costs. To reach these goals, Moses combines a wide range of data and technological resources in an innovative integrated platform indicating the best time to irrigate, seasonal weather forecasts, data detected in the fields through sensors, crop water requirements, irrigation management," explains engineer Chiara Benaglia. Practically, the system processes the weather forecast, takes a satellite picture of the crops, calculates their water requirements and determines the quantity of water to supply to the single producers part of the consortium. The Moses project (Managing crop water Saving with Enterprise Services), financed by the European Commission as part of Horizon 2020, has the objective of building a platform that can manage the effect of climate change. "Moses, which must be considered a super-technological approach to adapt to climate change for what concerns irrigation, is a tool to plan the use of water resources that Agencies and Body can use so as to manage and reduce the impact of drought, improve the services provided to producers and reduce the risk connected to flood events." 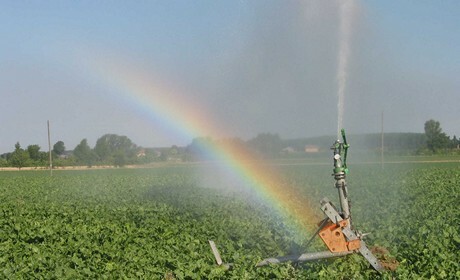 The Consorzio di Bonifica della Romagna was the first to test the product/services of the MOSES platform: seasonal forecasts were tested during the 2018 irrigation season, crops were mapped and the quantities of water to supply for long and medium term irrigation purposes were studied. 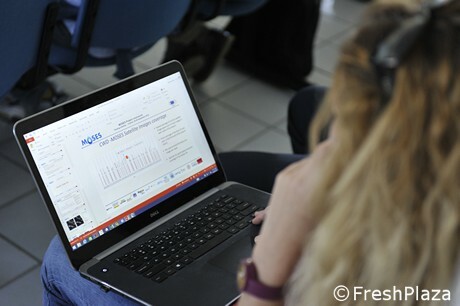 Research activities were conducted by Alessandro Fabbri, representative of the consortium, Enrico Montanari who collected and processed the data, Chiara Benaglia who was in charge of modelling and technical director Andrea Cicchetti. The marketability of the product and the implementation of the platform also with another European project to counter climate change (Clara) are currently being assessed.